Official claims from Russia about when Swedish diplomat Raoul Wallenberg died appear ever more doubtful as new evidence emerges, argues historian Susanne Berger, who has called for the investigation in Wallenberg’s fate to be re-opened. After conducting a decade-long investigation, the official joint Swedish-Russian Working Group studying Wallenberg’s fate in Russia concluded its report in 2001 with these succinct words: “The burden of proof regarding the death of Raoul Wallenberg rests with the Russian government”. Eleven years later, the world is still waiting for that proof. In January, Magnusson was appointed by Swedish Foreign Minister Carl Bildt to conduct a fact-finding mission to study what new information exists in the Wallenberg case and how it can be best followed up. Bildt took the step in response to growing complaints by researchers about the lack of direct access to Russian archives. Swedish officials have known for decades that Russia has important records that it refuses to show. However, the Swedish government currently considers the Raoul Wallenberg case purely a historical issue and wants any remaining questions solved through “cooperative” archival research. For researchers, this means that the Wallenberg inquiry is essentially moving in circles. They know exactly what documentation they need to see but cannot obtain the necessary official support from either Russian or Swedish officials to gain access to it. However, Khristoforov offered no insight from what particular knowledge or documentation he derived this certainty. 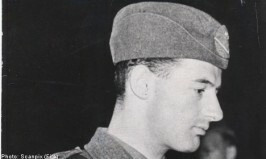 A closer examination of all documentation currently available in the case shows that there is a surprisingly even split in evidence pointing towards the possible death of Raoul Wallenberg in July 1947 and that of his possible strict isolation at the time. It was in fact Khristoforov and the FSB archives that have thrown the most serious doubt on the old Soviet version that Wallenberg died on July 17th, 1947. In 2009, Khristoforov revealed that a Prisoner No. 7 who is believed to have been Raoul Wallenberg was interrogated on July 23rd, 1947, six days after what Russian officials have maintained is the date of Wallenberg’s death. What we do know for sure is that Raoul Wallenberg was questioned on March 11th, 1947 in Lubyanka prison. From then on, he could have been either killed or continued to be held in Lubyanka, Lefortovo or another prison – most likely in or around Moscow – as a prisoner under investigation. Another possibility is that Wallenberg was formally charged and sentenced for a crime and sent to a known isolation facility like those at the prisons of Vladimir, Verkhne Uralsk or Alexandrovsk. Alternatively, he could have been transferred to a Special Camp or possibly a psychiatric hospital. Regardless, some kind of decisive action was definitely taken on or around July 22nd or 23rd, 1947. The absence of any independently corroborated witness testimonies about Raoul Wallenberg’s presence in the Soviet prison system after 1947 suggests that he may have died around that time, but the issue is far from clear. “The inquiry into Wallenberg’s death should be reopened,” argues Nikita Petrov, the deputy director of the human rights group ‘Memorial’ in Moscow. Unlike Petrov, other Wallenberg experts do not believe it is certain that Wallenberg was killed in July 1947. Important questions raised by Susan Mesinai, Dr. Marvin Makinen and Ari Kaplan, the former independent consultants to the Swedish-Russian Working Group, regarding the numbering of highly secret foreign prisoners in Soviet captivity remain unanswered. In her report from 2001, Mesinai pointed out that the chronological numbering of about thirty sentenced prisoners held in Vladimir between the years 1947-1952 shows obvious gaps. In fact, for the years 1947-48 – the most critical period of the Wallenberg case – six numbers remain unidentified. It is possible that one of these numbers was assigned to Raoul Wallenberg, Mesinai writes. And Russian authorities still have not identified an unknown Swedish prisoner held in Vladimir Prison during the 1950s and early 1960s. The answer to this simple question alone could move the case dramatically forward. While some experts stress that Soviet leader Joseph Stalin would have had little use for Raoul Wallenberg after 1947, others dispute that assertion. As the Swedish Working Group Report suggests, the killing of a foreign diplomat was a very serious matter. In other words, Stalin may have wanted to gauge if Wallenberg could not be of some use to him in the months or years ahead. But key Russian intelligence files that could provide insight into the Soviet leadership’s thinking on this issue remain firmly classified in Russian archives. How long could Raoul Wallenberg have survived? That question is currently impossible to answer. The official Soviet notification of Wallenberg’s death to the Swedish government from February 1957 raises doubts that he was alive beyond that time. However, investigators continue to wonder why Soviet officials at that moment offered such an ambiguous account of his alleged death and why Russian officials have not provided a fuller explanation of Wallenberg’s fate since then. It appears very unlikely at this stage that the current Russian leadership does not know what happened to Raoul Wallenberg. High level institutional memory was available until very recently and to some degree remains available today. Sergei Kartashov, head of the Fourth Department, Third Main Directorate of MGB that investigated Raoul Wallenberg’s case in 1947, died in 1979. Anastas Mikoyan, a longtime member of the Politburo, survived until 1978; long-time Soviet Foreign Minister Vyacheslav Molotov was still alive in 1986 while Nikolai Selivanovsky, Deputy to Minister of State Security Viktor Abakumov who had direct authority over Wallenberg’s case, died only in 1997. Two of Raoul Wallenberg’s interrogators, Danil Kopelyanksy and his colleague Boris Solovov, lived past the year 2000. Arseny Roginsky, co-founder of Russia-based human rights group ‘Memorial’, shares this assessment. But direct access to key documentation continues to be the core problem in a country where independent historical review finds itself under increasing pressure. In 2009, Mikhail Suprun, a respected Professor of History at Pomorsky State University in Archangelsk, was arrested while researching the fate of ethnic Germans in the Soviet Union during World War II. The charges concerned alleged violation of Russian privacy laws. The official who provided him with the files, Alexander Dudarev, Head of the Information Centre of the Arkhangelsk Regional Ministry of Internal Affairs, was also arrested. In December 2011 the case against Suprun was dropped. Dudarev, however, received a one year suspended sentence. Suprun meanwhile has been forced to leave his academic post and his documents as well as his computer have been confiscated by the Russian Federal Security Service (FSB). The files Suprun studied – personal and investigative files of former prisoners in the Soviet penal system – are precisely the type of documentation researchers need to review in the Wallenberg case. The simplest explanation for why the Russian government does not release the full facts about the Raoul Wallenberg case is that the truth does not fit with the decades old Soviet version of his fate. The Kremlin may feel that revelation of the truth about Raoul Wallenberg runs counter to its current policy of promoting only “useful” history, the presentation of historical events in ways that serve to reinforce President Vladimir Putin’s idea of a strong, powerful Russia. It is time to be daring and to face the possible contradictions – the world and Raoul Wallenberg’s family have been waiting far too long.